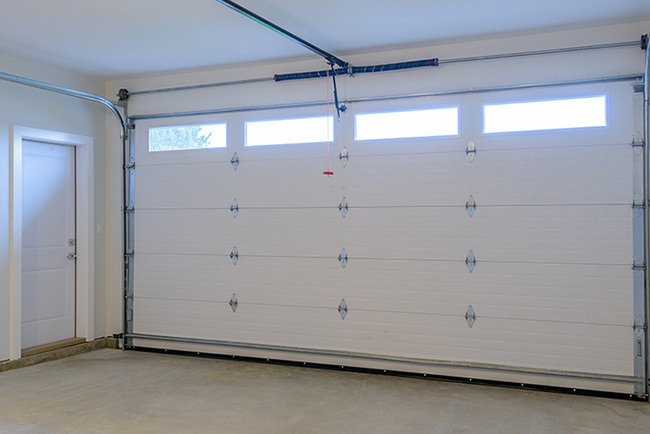 Home > Blog > When Should You Replace Your Garage Door? 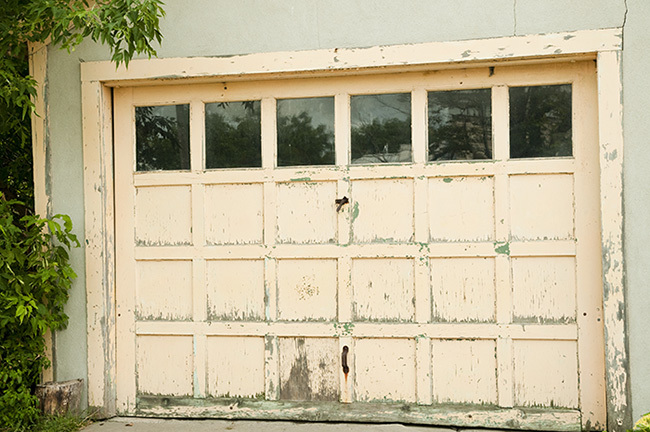 Confused about how long your garage door will last or when you should replace it? There is no hard and fast rule about when you should replace your garage door because a lot of different factors impact how long it can last. The weather, wear and tear and the materials that your garage door is made of all can play a role in how long you can expect your garage door to last. Obviously, if your garage door has major damage, perhaps someone has driven through it, then it should be replaced. But some types of damage can be repaired so that you don’t need to replace the entire door. Garage doors are designed to be sturdy and to last for a long time. If you’ve had a new garage door put on within the last 15 years or so, that door was designed to last for up to 30 years. So unless there has been an accident causing major damage or there has been a lot of wear and tear on the door itself, it probably doesn’t have to be replaced, although it may need to be repaired. If your garage door doesn’t seem to be working the way that it should it could be that your garage door opener needs to be replaced. While modern garage doors have been designed to last for decades most garage door openers only last for about ten years, possibly a few more years if they don’t get used every day. So replacing your garage opener might solve the problem if you’ve noticed that your garage door is just opening and closing slowly or not responding to the garage door opener the way that it should. It’s not uncommon for people to hit the garage door with their car, or for kids to hit it with balls of various kinds. Kids can also run into the door with their bikes, scooters, skates and other sports equipment and toys. And when teenagers are learning to drive they can cause some dents and scratches too. If you took a poll of how many people accidentally put the car in drive instead of reverse and ended up hitting the garage door you’d probably be surprised at how many people did that as teenagers driving for the first time. And all of that is ok. Garage doors are made from tough stuff and they’re made to withstand the kind of bumps, dings, knocks, and hits that family life throws at them. If the damage to the garage door is just cosmetic like scratches and chips the door probably can be repaired. It might cost a bit to make the garage door look great again but it’s a relatively easy fix. But, if the damage is not just cosmetic and effects the way that the door system works then it might need to be replaced. Damage to the tracking system that holds the door in place or lifts the door could mean that the entire system has to be replaced. Small dents can possibly be hammered straight and fixed but if the door gets warped, deeply cracked or knocked off the track it may need to be replaced. The best thing that you can do if there is some type of major accident involving the garage door has a professional garage door installer come out and look at the damage. They will be able to tell you if it’s possible to repair your garage door system or if you will need to have an entirely new door put on. If you bought an older home, or if the home you bought had an existing garage door system that was installed more than twenty years ago it is probably time to upgrade that garage door system and have a new modern garage door put on. Older garage door systems may still work, but they’re most likely going to need replacing sooner rather than later. Replacing them now will alleviate the worry of the garage door system failing at an inopportune time and making it necessary to choose a new garage door and have one installed in a very quick time frame. It’s generally accepted that garage door systems that are older than 20 years should be replaced with modern systems. Older garage doors were made from materials that were considered good at that time, but technology and manufacturing has advanced so much in the last 20 years that those older systems really can’t compare to the garage door systems of today. If your home has an older garage door system call a professional garage door installation technician to come and assess your garage and give you a quote for a new modern garage door system. Remember, that while the cost of a new garage door might seem high right now that door will probably last you another 20-30 years and it’s an investment in the value of your home. If you’re planning on selling your home then having an updated garage door system is something that will make buyers more interested in your home. If you want to boost the curb appeal of your home getting a new garage door is also a good way to do that. So if you’re planning on putting your home on the market in the next year or so investing in a new garage door now will make your home a lot more attractive looking. Make sure that you get the driveway cleaned and the cracks and pits fixed too. Then your house will look great from the outside. There are some situations where it might look like your garage door needs to be replaced but your existing garage door system can actually be repaired instead of replaced. The most common situation that homeowners face is having one or two panels of the garage door damaged. This can happen because of the weather, because of a careless driver, or for many other reasons. If there is just one garage door panel that’s dented, cracked, or knocked off track usually that panel can be replaced without requiring the entire door to replaced. If the garage door track is damaged it may be possible to replace the damaged part of the track. Many garage door tracks are installed in pieces not as one continuous track so that if there is damage that single part can be replaced. But, if your garage door operates on a single track system then that entire system will have to be replaced if there is damage to one part. Other common problems with a garage door that can usually be repaired including a full replacement include things like broken springs, broken coils, worn out tracks, warped panels and dented or scratched panels. Broken window panels can almost always be replaced instead of requiring a brand new door. If you’re not sure whether or not your garage door needs to be replaced, or if your garage door is damaged and you want to know if it can be repaired call a professional to get an estimate. An experienced and trained professional garage door installation expert is the best person to look at your garage door situation and tell you if you need a repair or if a replacement of the garage door is necessary. Garage door replacement isn’t easy and it should be left to professionals. Oftentimes, homeowners are left with costly repairs after improper installation. Turn to Feldco Quad Cities for your garage door replacement. We’ve helped over 350,000 customers with home improvement needs and we can help you with your garage door replacement as well. Speak to a product specialist and get a free quote today!